The Beauty Garden Organic Mask with Pumpkin will moisturize and pamper your stressed skin in this cool weather! Suitable for all skin types, its smooth and melting texture provides a real sensation of comfort. Rich in beta-carotene and vitamins B. C. D. E. PP, pumpkin is an excellent natural moisturizer. With Beauty Garden Pumpkin Moisturizing Mask, you will love this cocooning care for your skin ! 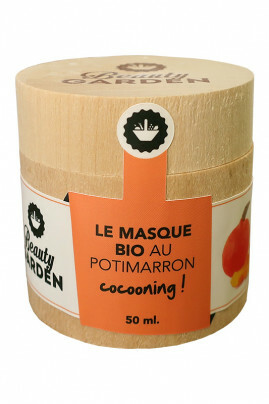 BEAUTY GARDEN Organic Pumpkin Mask, for a real cocooning moment ! 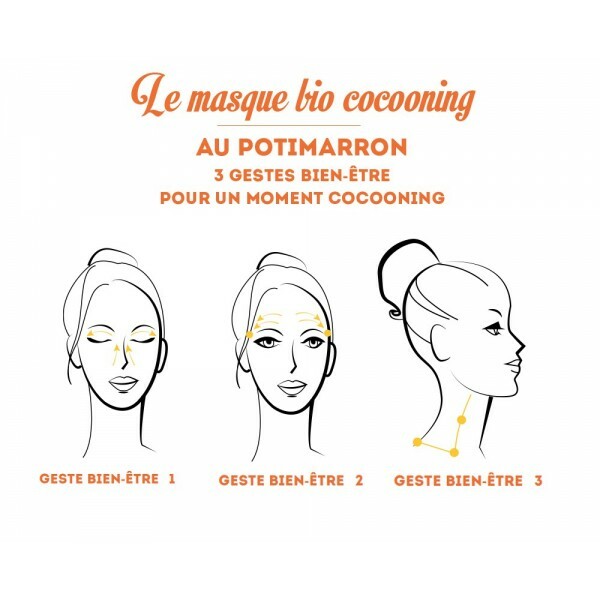 Take a small amount of the organic pumpkin mask and apply to dry face and neck. Let sit for 10 minutes, relax and then rinse with water. Avoid the eye contour area. To consume within 6 months after opening the jar. Vegetable inks and printer labeled "green".